New Craftsman house and home designs with today's amenities ! Since Craftsman is a very popular home trend, and it has been for many years now, here’s some suggestions we have for you. All these houses have the great Craftsman look you are loving, but the amenities of the New American Home! 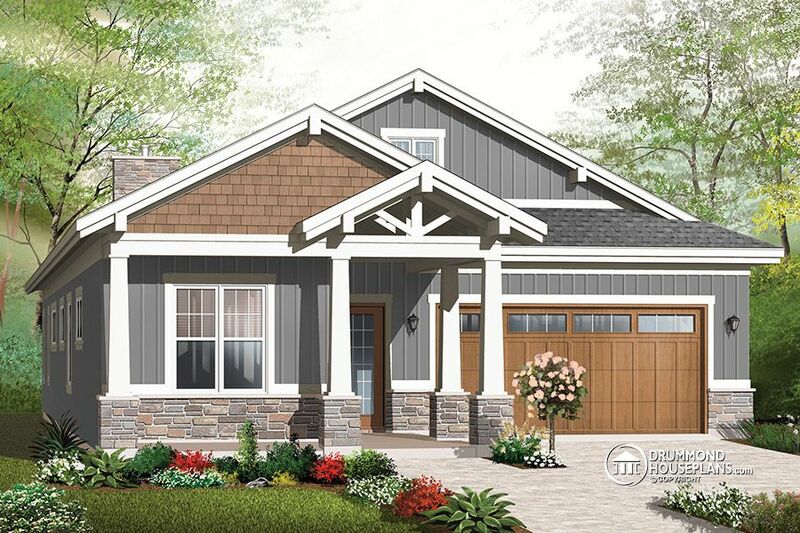 Beautiful Craftsman plan with 5 bedrooms, 3,5 baths and a 3-car garage. 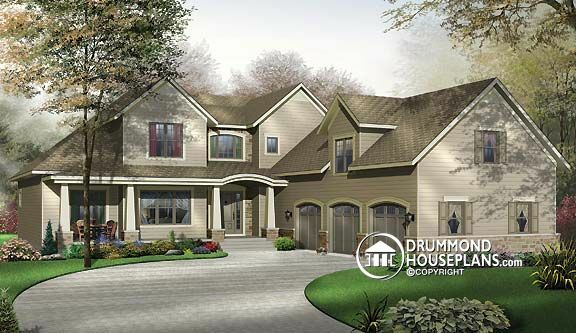 Browse through Cool Drummond Cool House Plans selection of Craftsman home designs, and find yours! Also, discover our nice Country Style home plans! Love thw 2659. Who many sf total? Can it be cut down to 50 foot width? The 2659 has 3136 square feet in total, excluding basement. The rear view of this house is also spectacular! No problem to decrease by 50′ the square footage of the house. 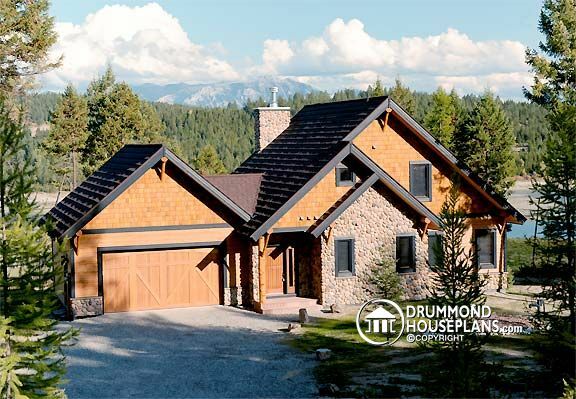 Please contact Jess at jlanglois@drummondhouseplans.com to discuss your modifications. Love the 2659 three car garage etc. can someone contact me.